We are pleased to announce the formal submission for a detailed planning application of one of our largest schemes to date. Flowers Way, located in the heart of Luton, comprises a mix of 130 residential units and 359 student accommodation rooms, as well as prime commercial space. On the site of an under-used car park, we have produced a scheme that seamlessly integrates with the urban Luton context along with our neighbouring scheme, Park Street West. Working to a strict client brief, we were able to maximise the site’s true value with a result in the generation of surplus units. 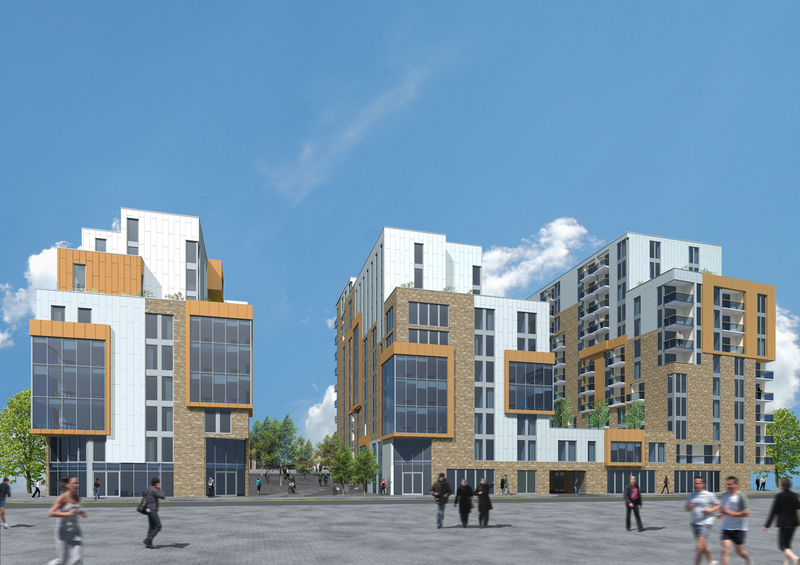 Overcoming a multitude of difficulties, the team relied on extensive experience within the area to produce an 11 storey development sympathetic to its surroundings and looking set to bring positive investment to an under-utilised area of Luton.